Hours: 7:25 a.m. - 2:25 p.m.
Students should aim to arrive at 7:18 AM sharp! In line, on time, every day! Reminder: Spring Recess begins Friday, April 19th. See you on Monday, April 29th! We wish everyone a safe and restful break! Grewenow Expo May 2nd, 2019! Do you have a career, talent, or skill you could share with our Grewenow students? We plan to give students an opportunity to explore careers, talents, skills to open new interests for them. On Wednesday, May 8 from 8:30 – 10:30, students will be able to attend three 30 minute workshops, and would love to have you be a part of that day by sharing your knowledge, leading a session(s), or helping students transition to the activities! Our goal is to provide 20 different activities. Just a reminder that during the morning drop off and afternoon pick up times, staff vehicles are the only vehicles allowed in the parking lot. Also, please be mindful of CITY PARKING SIGNS and follow as directed. 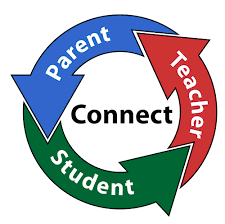 Parents/Caregivers are a vital part of our school community and there are many opportunities at Grewenow for you to get involved in. From helping out in our classrooms to planning a school event. We value those in our student’s lives and want you to feel welcomed to participate in all that goes on at Grewenow.